I am by no means a die-hard Morse fan - I watched the show a fair bit growing up and I adore the spin-off Lewis but I haven't watched Inspector Morse much at all in recent years. 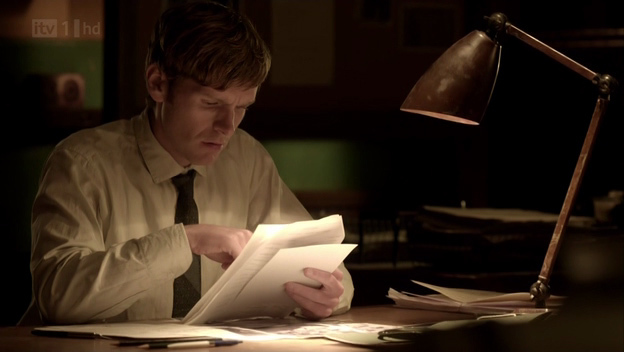 Still, I very much enjoyed the TV movie Endeavour, starring Shaun Evans as the young Morse. I had thought that it was intended as a pilot for a series that never eventuated - but it seems I could be wrong? I can't find any more recent information so who knows? 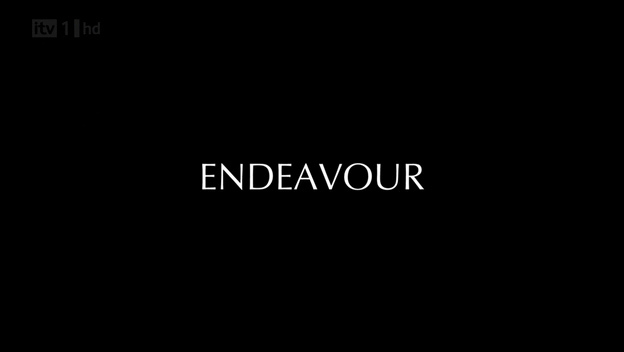 Endeavour is enjoyable as a standalone piece, anyway. 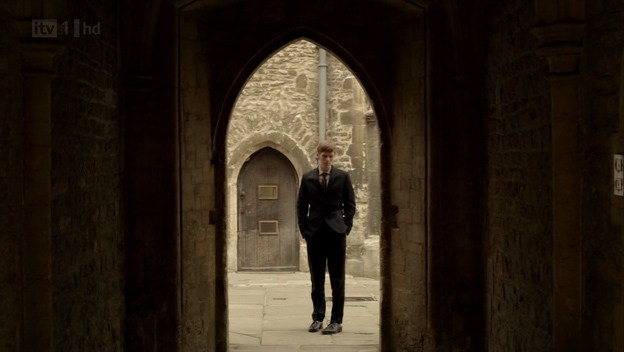 Endeavour is set in 1965 as the young Morse returns to Oxford for his first big case about a missing girl - it is the first time he has been to Oxford since he studied there, briefly, but we know how significant Oxford would be for Morse and it was as much a character in the Inspector Morse series as Morse and Lewis et al. Like many TV shows/movies, now, it's beautifully filmed and, I think, quite atmospheric at times. Unlike some other shows I will be talking about in these posts, it is less exciting for clothes than it is as just an enjoyable piece of television. It's a bit convoluted and preposterous but that's what I look for in a good murder mystery. 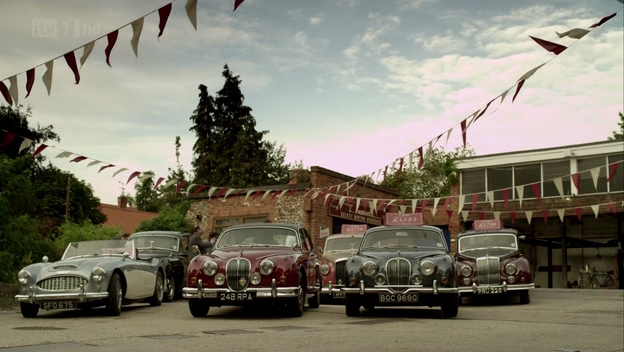 And it keeps in line with the Inspector Morse series. Of course it is not completely without lovely outfits. One of the things that I love about shows like this are the little details to fill out the era and in characters' rooms, etc. Like these cut-out pictures of The Beatles in the missing girl's room (I actually have the purple/pink background picture still up in my wardrobe from my own Beatles-obsessed years). Did anyone else watch and love this? 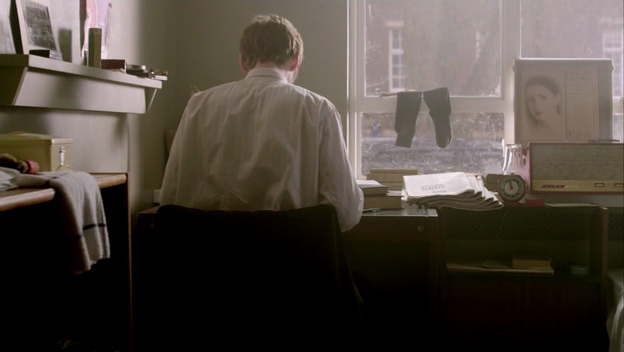 I've lost count of the number of times I've re-watched it...though the number is possibly so high because of Shaun Evans. If anyone can find out if it there are going to be more episodes aired, for certain, I'd be grateful (I googled a bit but may have missed something). Last I heard, they were filming it to be aired later this year I think. 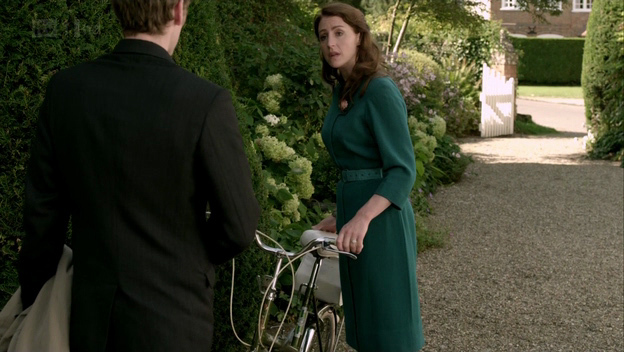 Mum usually keeps me up to date, and sends me all the good stuff on DVD... which includes Endeavour, which I LOVED. 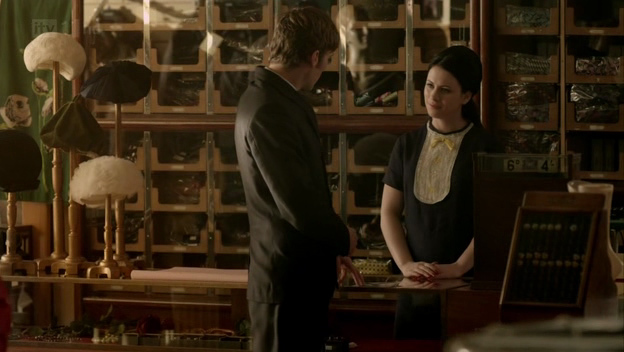 But I am a HUGE Morse fan, Lewis fan and any Brit-detective fan ;) It makes me feel homesick though! I also love the Murdoch Mysteries- and just seriously LOVE the costumes. *sigh* I wish Late Victorian/Edwardian was more wearable. I've never seen this but now will definitely be putting it on the list. This past weekend I indulged in some old Hitchcock movies as well as his show "Hitchcock presents". I'm really enjoying this series! Oooh! I haven't seen this and I think I should!